“Super Moon” and Earthquakes | Indigenize! Just came upon an interesting and a bit hair-raising idea, that the lunar perigee (aka “Super Moon”, when the moon is closest to the Earth) may play a role in causing earthquakes. AccuWeather is an astronomy site. Its commentary about the work of astrologer Richard Nolle was posted on March 1. Yesterday one of our chickens was found dead, no apparent cause, and it was perfectly healthy the day before. So, can I attribute that to the moon, too? Or maybe the radioactive fallout from the Japan reactor is to blame! Ha ha! Well put, Tim. You know, it’s easy to read “belief” into a post like this. I only offer it as an interesting idea, not one I necessarily ascribe to. And in the light of day I see it could certainly come across as alarmist. Maybe one shouldn’t write blog posts in the middle of the night! Your point, “What the Moon may or may not influence is the timing of earthquakes…” is what I meant to present as well. Oh, I didn’t read belief by you; though I suspect Vogler believes his own BS. And of course astrology is element #6 in the Periodic Table of Irrational Nonsense; bizarre that AccuWeather promotes such foolishness. The guy claims to be a scientist, but doesn’t seem to know much about how science works. It’s not at all difficult to test the hypothesis that “SuperMoon” events correlate with increased tectonic or volcanic activity, and I’d be surprised if somebody hasn’t already done so. Asymmetry again: people only read/hear about the speculative suggestion, the refutations are never as popular or widely-read, so what they remember is that some perceived authority said that big Japan quake was caused by the Moon. The middle of the night is probably the best time for blog posts! Last night the Blood Moon? Perception and the ever present myth. Interesting blog and Tim is correct some have written about it. 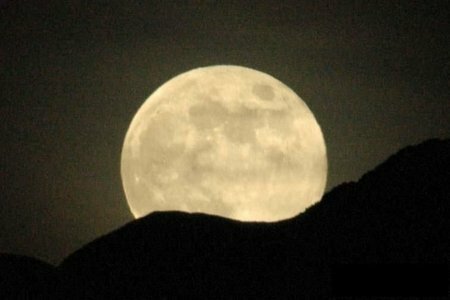 http://www.spacedaily.com/news/life-01×1.html It may be that we owe life on this planet to the effects of our beautiful Moon. Another perspective which adds to a notion of maybe alone here. No x-o Planets have been noted with satellite Moons so far and if the idea of stabilization, tidal function etc is correct. We may be looking for what isn’t there. Imagine, it may be that eventually all the matter of this Galaxy will be collected by the black hole (Hard drives of the Universe) at it’s center as the seed for a new birth. Hopefully, Intelligence will be present and the recycled knowledge will build life again into it’s unfolding. Truly, I’m beginning to think that is the only reincarnation we can be sure of. Steven Hawking has demonstrated the chaos theory and as experience for Humanity, most of us have lived it. Cyclic chaos to order and all the madness it generates. Who knows? All I know is I’ve had enough and hopefully will have peace again. The inevitability of entropy and rebirth, Einstein at his best in relativity. It may just be the A.I. that we create will seed the knowledge within the black hole to ensure life within a new Universe. Surely as fragile as we are, it is impossible for us. Although, it is amazing that the evolved brain of humans are the only known processors to have the ability to process and understand the contents of that seed (black hole). It may just be that our creations, recreate us in an endless effort to sustain life. Irony? Wouldn’t that be a slap in the rubber parts? Besides, maybe entropy ensures our survival and the A.I.. Without us, they never exist. It’s just so Space Odyssey 2001, made in 1968. All the time spent unraveling our perceptive cognitive functions and their outcomes, just to be given over to HAL. Creepy creepy I’m sure to have a nightmare now when I try to sleep (ha ha). Truly, I turned on my hall light.